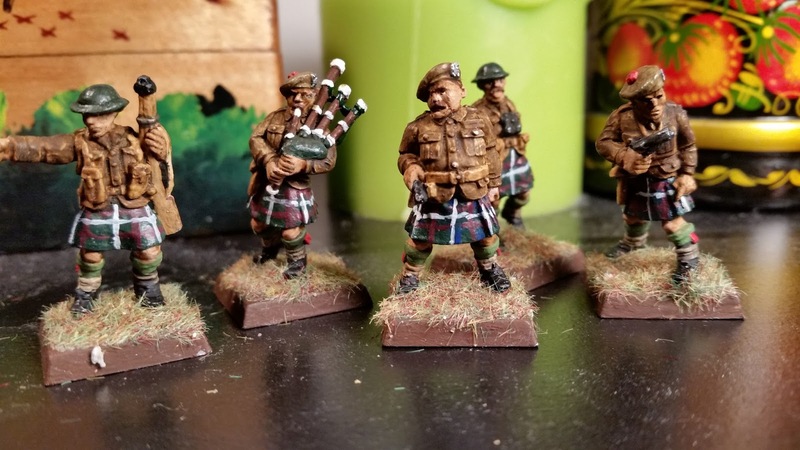 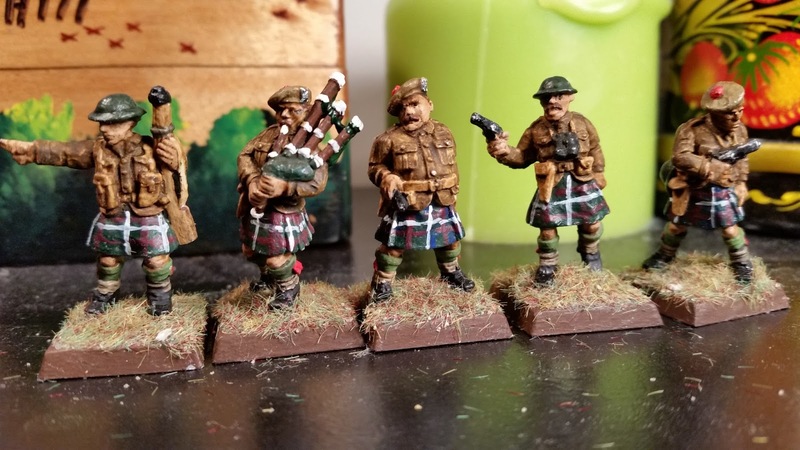 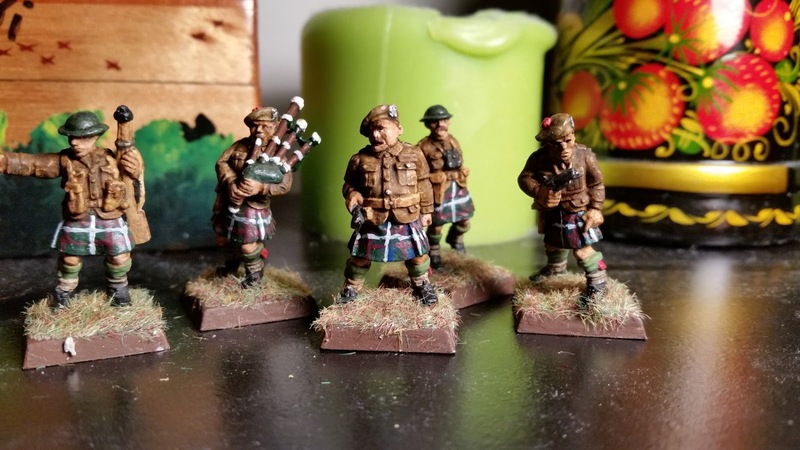 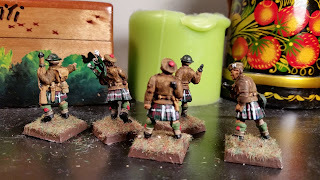 After having these Pulp Figures Highlanders on my painting desk for many, many months, I have finally slapped a bit of paint on them. 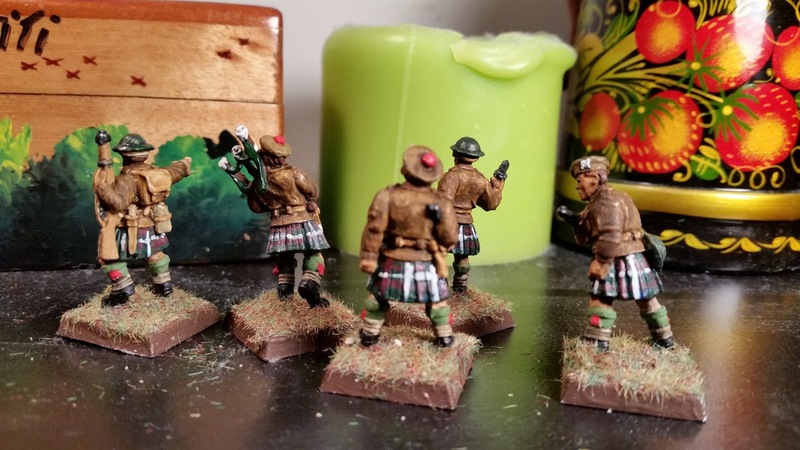 They're ready for an inter-war or early WWII conflict. 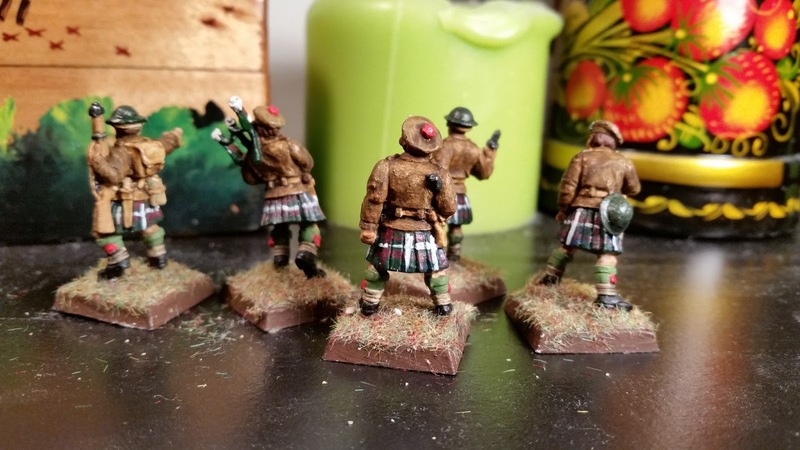 They don't represent any particular regiment, which is ok since I'd only use them for a pulp-fiction type adventure if I use them at all!